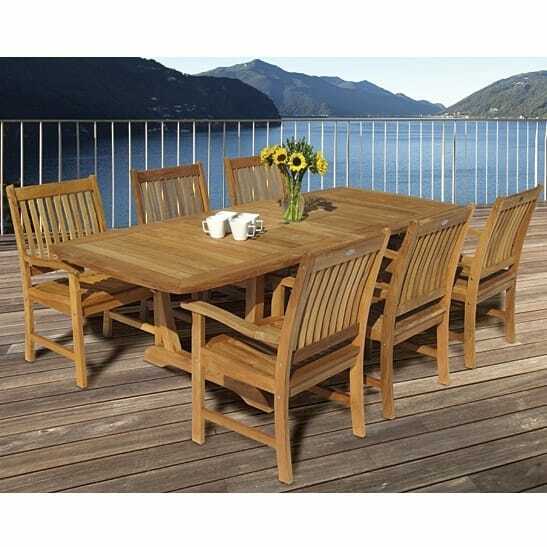 Dine outdoors in style with the Compass Teak Dining Collection from Royal Teak Collection and Family Leisure. Mission style antique furniture inspired this line, with rectilinear forms, simple lines and square proportions slightly updated with ergonomic curves and held together with stainless steel hardware. 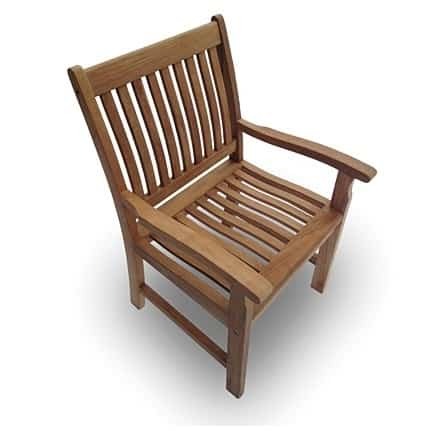 Royal Teak is a special patio furniture manufacturer, and this collection underlines their exceptional nature. 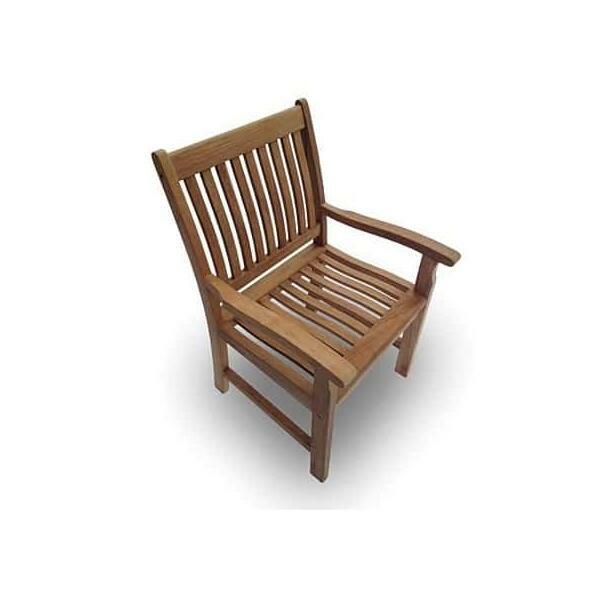 They use nothing but Grade A teak wood for the Compass chairs, a tropical hardwood used by shipbuilders for centuries that's perfect for outdoor furniture. Why? 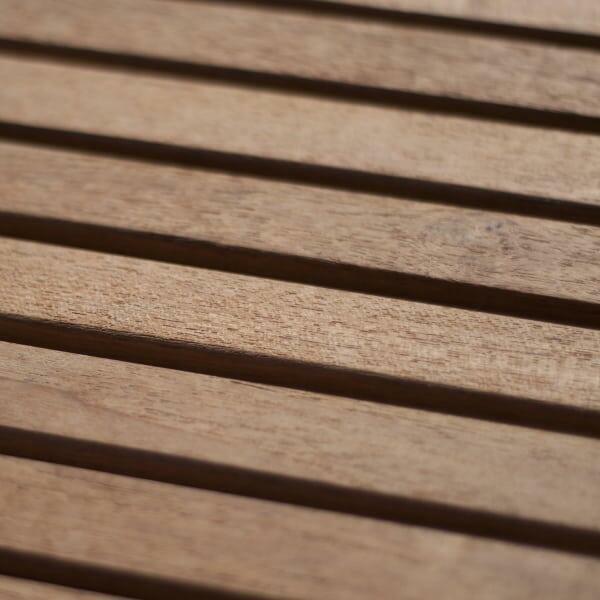 Grade A teak has been harvested from trees that are more than 45 years old, allowing the trees to mature, gain density, strength and high levels of natural oils that bond to the wood, repelling water and insects. And unlike typical woods, when teak is left outdoors it gains wonderful charm, offering a silver patina that grows with age. 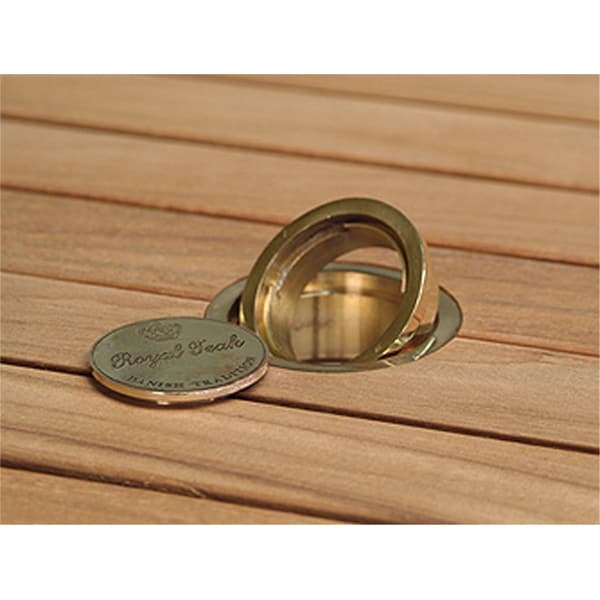 It's a cherished look patio designer's love. Picture those lovely summer evenings, with family members gathered around a feast fresh off the grill, or sweltering hot summer days with lemonade and other ice cold beverages on the table top for guests to enjoy. 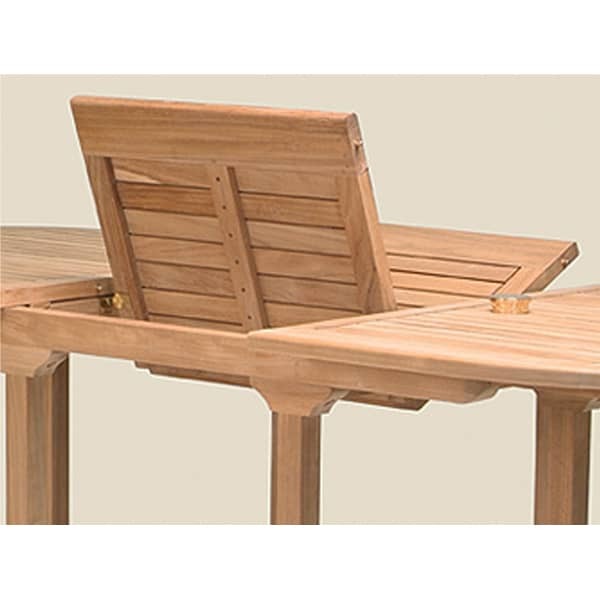 Make these fun visions of summer life a reality with the Compass Teak Dining Collection from Royal Teak Collection, which comes with free shipping nationwide from Family Leisure. 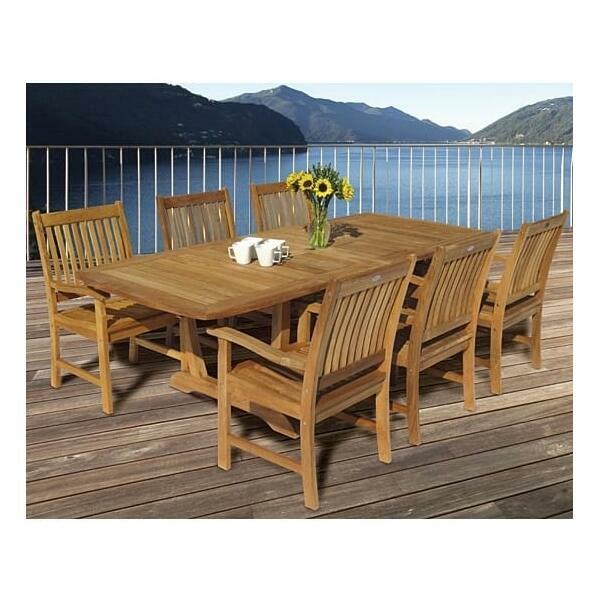 Set Includes: 6 Dining Chairs and Large Table. W 19.5" x D 23" x H 37" LBS 23 SEAT HEIGHT 18"
W 23" x D 24" x H 37" LBS 27 SEAT HEIGHT 18"